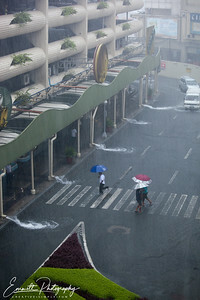 The rain has just begun but the water quickly starts to rise on EDSA, Makati, Philippines. 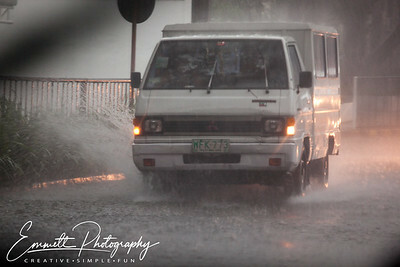 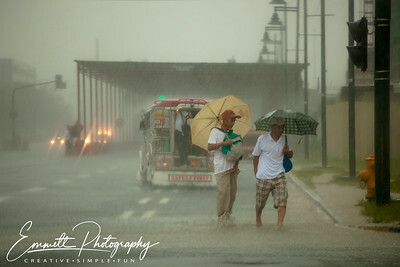 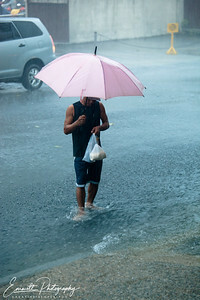 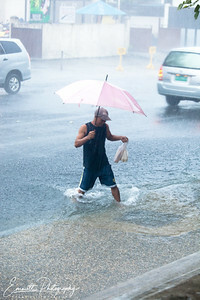 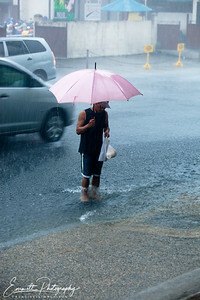 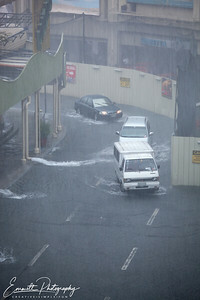 The rain has just begun but the water quickly starts to rise on McKinnley Street near EDSA, Makati, Philippines. 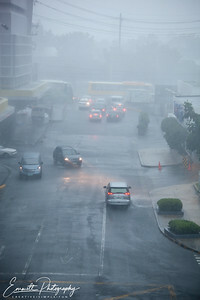 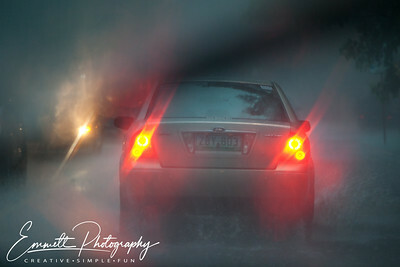 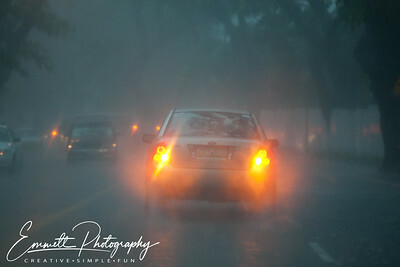 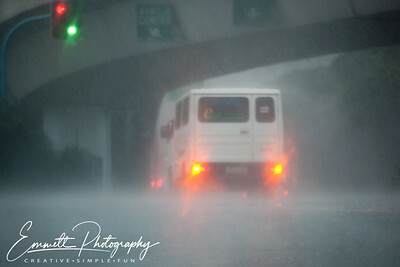 Visibility decreases and cars start to struggle on EDSA, Makati, Philippines. 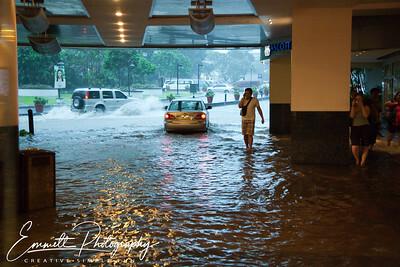 Man crossing Pasay Road outside Park Square One, Makati, Philippines. 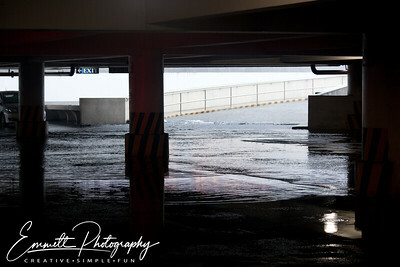 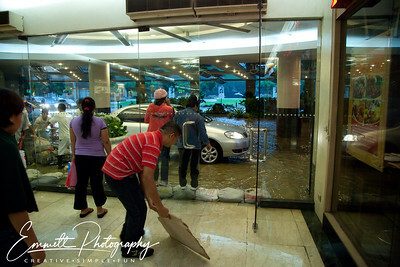 Water surges down the ramp on the 4th floor of the car park in Park Square One, Makati, Philippines. 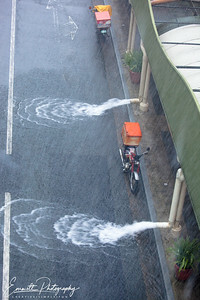 Water gushes from the drains outside Park Square One, Makati, Philippines. 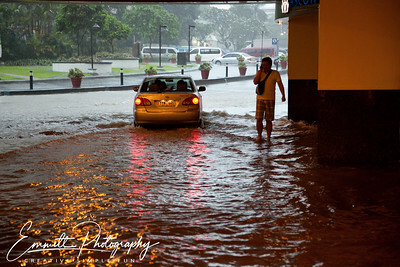 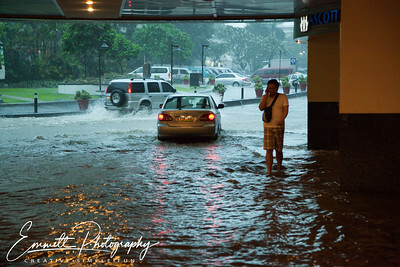 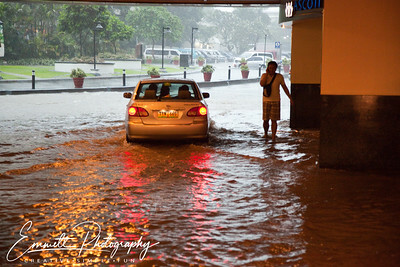 Cars struggle through rising waters outside Park Square One, Makati, Philippines. 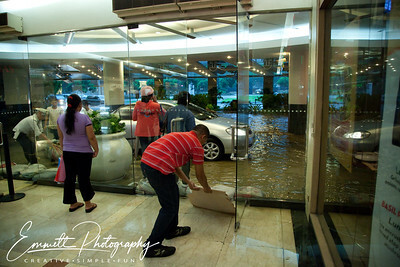 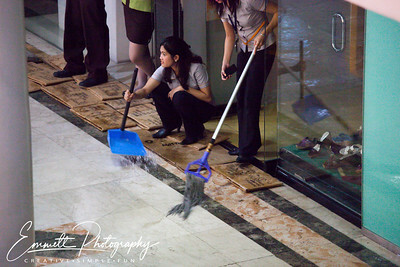 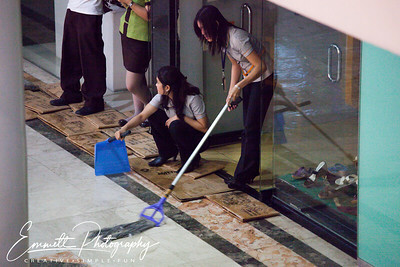 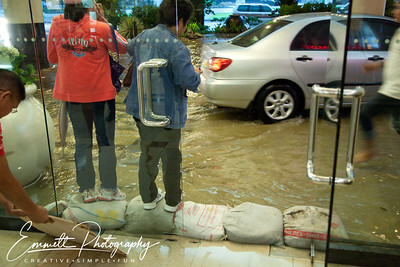 Trying to keep water outside of Glorietta Mall, Makati, Philippines. 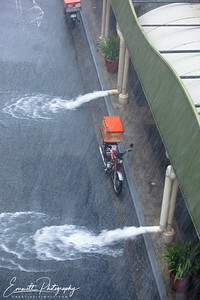 Trying to keep water outside of Glorietta Mall, Makati, Philippines. 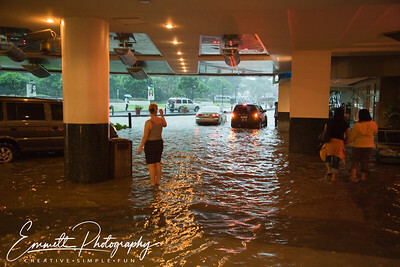 Where the car is driving is normally a walkway.